Myki – Victoria’s troubled ticketing system – is at the centre of a political bun fight between Transport Minister Martin Pakula and Opposition Leader Ted Baillieu. 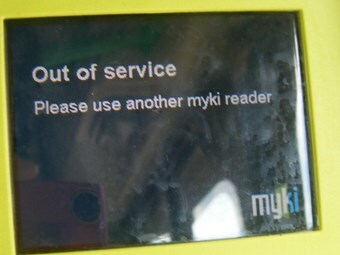 Pakula accuses Baillieu of planning to scrap myki if the Liberal Party takes office later this year. "Under this proposal, the Opposition would force taxpayers to pay for another ticketing system, to replace the Metcard system, on top of myki," Pakula says. "Myki is already operating in Victoria's regional towns and on Melbourne’s trains, the vast majority of myki devices are already installed across the city's train, tram and bus infrastructure." Pakula says scrapping myki would expose Victorian taxpayers to sovereign risk and potentially leave commuters without a public transport ticketing system. He says dismantling myki would involve the costly removal of tens of thousands of myki devices, the cancellation of long-term contracts, and scrapping significant investment to date – as well as a new ticketing system, at a cost in line with myki. Myki has had varying levels of success in regional Victoria’s bus networks, and is yet to be rolled out to metropolitan Melbourne’s bus and tram system, although it works on trains. So far over $1 billion has been spent over the past 3 years to get myki functional across Victoria. The expensively slow progress prompted Baillieu to say earlier this week that ‘legal options’ are being considered about its potential scrapping.